Last week I participated in my first Holistic Mom’s Group here in Santa Clarita. I decided to attend to learn new approaches to parenting. Most books and websites only guide you towards the mainstream way of parenting. 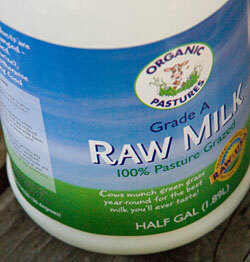 The topic this week was on raw dairy. I knew a few people through my husband (who was once a personal trainer) that ate a raw diet and I myself tried it for about a day. It is really difficult to find enough foods to eat since I like a variety in my diet. And in the SCV the only place to purchase such foods is at Whole foods which can be very expensive. One of the leaders talked about developing your own raw milk formula, if you decided not to breastfeed your child and also showed us how to make our own raw cheese and butter from raw cream. It was surprisingly easy and delicious! I however don’t know if this will fit into my lifestyle now that I am a working mom but it was great to learn about some different options. My son is currently fed about 1/3 breast milk and 2/3 organic formula (cow’s milk based), and soon enough he’ll be eating solids which I’m looking forward to making his food from scratch. Back to the Holistic Mom’s Group… I decided I would pay the $45/annual fee to sign up for this group and attend the meetings. The next topic is regarding cloth diapers, which is another topic that I don’t think applies to me but I’m definitely interested in learning more about!